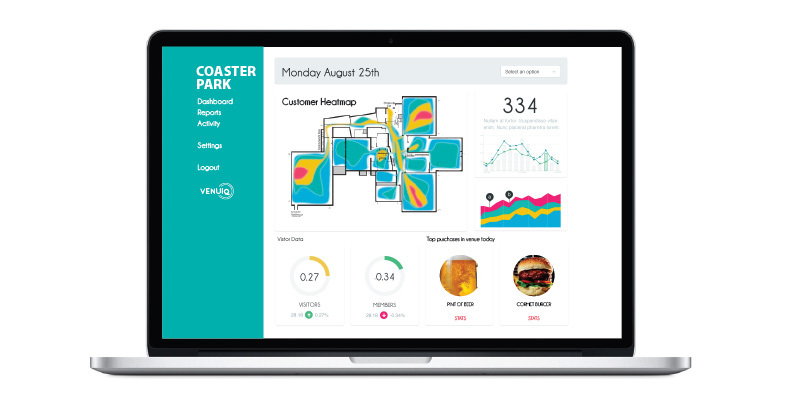 VenuIQ is a powerful tool for visitors and operators of amusement parks. Create your own app using our off-the-shelf packages to provide information to your visitors. The possibilities are limitless though and so if you think of additional features you’d like to add for your guests we can add these on and create a fully bespoke, branded app for your venue. Anything you can think of based on location, your internal systems and customer interaction can be built and included into your unique app powered by VenuIQ. Below are just a few ideas of how VenuIQ could work at an amusement park. By supplying your visitors with the app, you’ll be able to track their movements around the park. From this data, VenuIQ can set up individual flexible travel routes for every visitor. 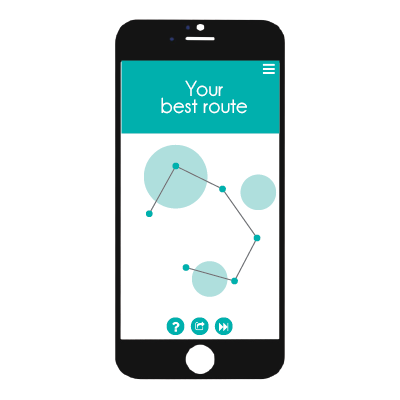 As more visitors arrive, the app can adjust routes to plot the most efficient route for later visitors as they arrive throughout the day. 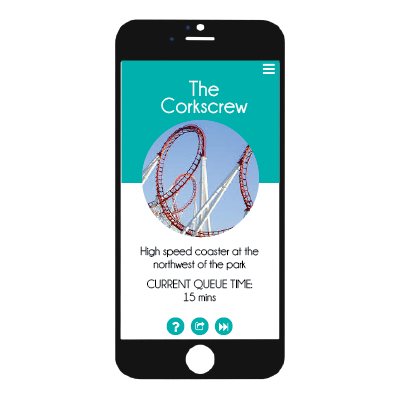 The app can measure how busy each attraction is and plan a route for a visiting party that lets them experience all their favourites with the least amount of waiting. You benefit from an enhanced visitor experience with guests more likely to post good reviews of their day out. Provide an interactive map within the app for visitors to check how long queues are at the next attraction. You might even want to tell your visitors when a ride is available that’s near them with a lower queue wait time, or guide them towards something to do while they wait. Thrill visitors to the park with First Person videos built into the app of your rides and attractions. Guide visitors to the nearest refreshment stalls. Sell merchandise within the app. Pop-up t-shirt adverts for your latest ride while they’re in the queue. 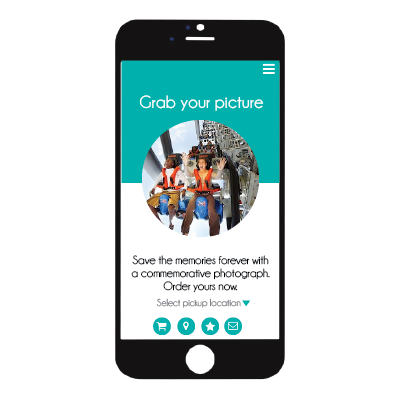 Send their attraction photos directly to their phone as they travel around the park, and encourage purchase instantly plus gentle reminders later in the day. By collecting data on where each person visits and how long for, we can divine useful information. People trails and wait times can reveal where log jams are occurring around your attractions, where the best places to provide seating and refreshment areas should be.